Lady Randolph Churchill sent a letter from Bridlemere, Newmarket, to her son Winston Spencer-Churchill, on the war in India - 29th October 1897. Frederic Thomas Day was the son of racehorse trainer Reg Day and Florence May Day (nee Davis) (Reg trained just down the road at Terrace House - No.125 High Street), he was born in 1912 and baptised at Thornton Heath, St. Paul in Southwark. According to his obituary in the Newmarket Journal he attended the Royal Veterinary College in London, the first in his family to obtain formal qualifications. His father and grandfather also practiced as Vets in Cheltenham and Newmarket, their specialty was horses. 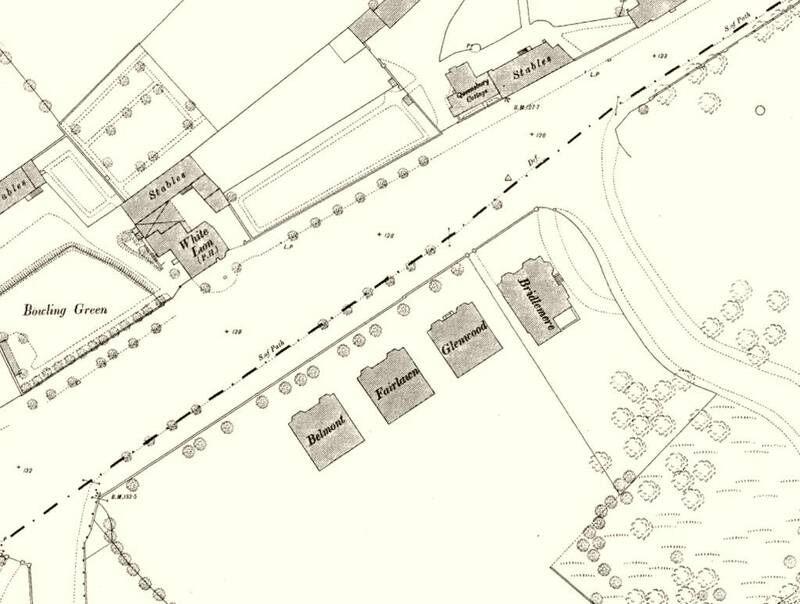 His grandfather Frederick William Day had married the widow of jockey Thomas Aldcroft; Jane (nee Cartwright) and details about them can be seen on the page for Lowther House - No.146 High Street (later the site of the Doric Cinema). Frederic Thomas Day was one of the founding members of the Equine Veterinary Association (founded circa 1950's) and was awarded the OBE in 1979 for his service to Veterinary work and thoroughbred racing. He and his family moved into Bridlemere in 1946, having previously lived at Wyck Hall on the Dullingham Road. Both his children Sue (b. 1940) and John (b. 1941) attended Fairlawn School just two doors along. The family moved out to the newly-built Sunnymead in 1959, a house which now no longer exists. The name Sunnymead was important to the Day family as it was also the name of their seaside bungalow at Hunstanton which, dramatically, was washed away in the East Coast floods of January 1953. Sue met and married Geoffrey Woollard in 1962, recently moving to Soham and renaming their new home there Sunnymead. Alexander Milligan, was another vet specialising in racehorses. He's not shown in the 1916 Kelly's Directory in Newmarket, but as detailed below had moved into Bridlemere by 1918. His first wife Mary Milligan died at the house in 1934 and is buried in Newmarket cemetery. He then married Dorothy Taylor in 1935 at Newmarket and later moved to Cheveley where he died at the age of 85 in September 1947. He was born in about 1862 in Scotland and studied veterinary science at Glasgow University. According to his records at the R.C.V.S., prior to living at Bridlemere he lived in Folkestone and also New Zealand. He's shown in the following newspaper report in the Wellington Evening Post, New Zealand on 2nd September 1909, when one of the houses he owned burnt down. He was living at Home Street in Wellington at the time and there are also other newspaper details about him in New Zealand between 1908 and 1912. Records found by his family detail a patent for amendments to a milking machine that he registered in 1918 whilst living at Bridlemere. Family recollections by his daughter relate to his experiences in WWI, when although too old to enlist he accompanied and looked after the horses. He travelled to Belgium and France, and apparently during one trip had to perform an emergency operation on a soldier to remove his appendix (although no evidence has been found so far to corroborate this). He died under tragic circumstance (an overdose of Strychnine which he took in small doses as a 'tonic') in 1947 and there was a coroner's verdict of 'death by misadventure'. 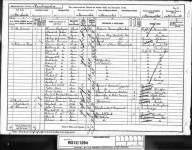 Barrister and Liberal Politician Edwin Berkeley Portman lived in Bridlemere as shown in the 1911 Census. 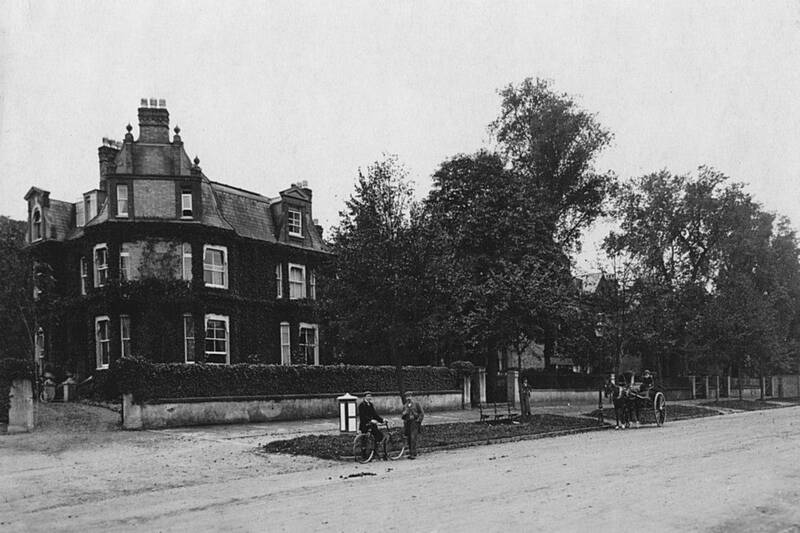 Many thanks to 'Old Newmarket' for the two photos 'Bridlemere c.1910'. Bridlemere is the house on the left in the photos, with the driveway at the side.